Welcome back Bookworms!! For today's Empowered Wednesday, I've got an amazing bookstagrammer who I can totally relate with on some aspects (especially the teaching part!) so let's get on with the Empowerment!! A: Hey guys!! I’m Brianna (@bribookishconfessions). 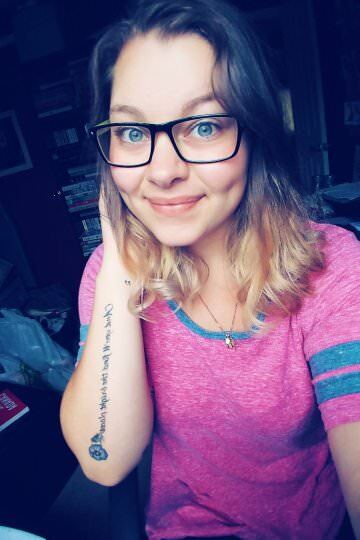 I am 24 years old and about to start my final semester in the fall for my bachelor’s degree in elementary education! I’m currently a babysitter/nanny and have been for about 10 years! I absolutely love being around kids – though at times, they try my patience! (Absolutely they do!!) But that’s kids for you! ;) I began reading in high school with Twilight and became obsessed with vampires and paranormal. It wasn’t until August 2013, that reading really took over and I’ve been a bookstagrammer since! I’m also 1/3rd of “Hook, Line & Sinker”, a book blog I co-host with my 2 best friends, Monica Graves (@nightreads) & Imani Blake (@enamoredreads). Q: How did you first get into blogging and when did you decide to take the leap and go for it? A: In the summer of 2013, I started discovering BookTube and started watching a bunch of the big YA BookTubers that are still around today. 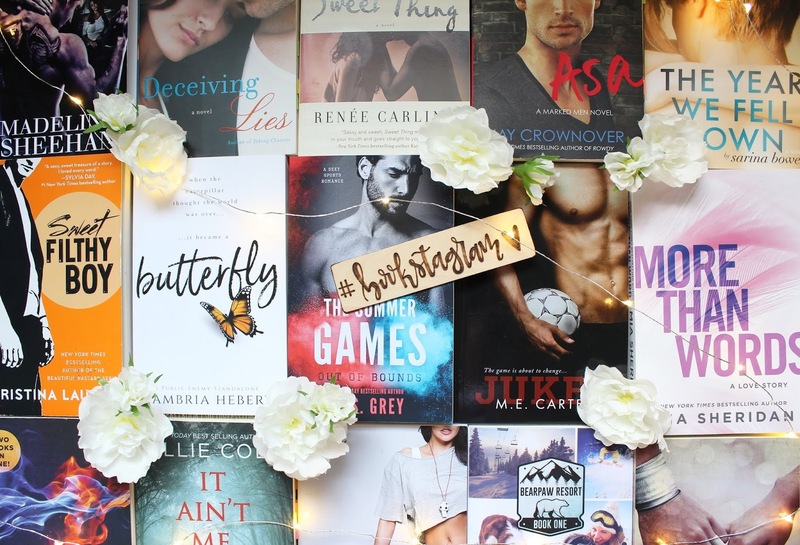 It then spread to my sister and I creating our own channel (which only lasted a couple months), but in that time I created my own bookstagram account as well as starting my blog, “Brianna’s Bookish Confessions”. Then the rest is history! Here I am today still loving bookstagram and blogging with my best friends! A: For bookstagram pictures? I have taken over my sister’s bedroom! (Shhh!!! Don’t tell her though ;) ). Her room gets A LOT of natural sunlight (A MAJOOORRRR key in pictures!). I typically take a week’s worth of pictures the weekend before; typically on Sundays. I usually either listen to music or an audiobook while I take pictures. It usually takes an hour and a half at minimum to take a week’s worth of pictures. A: Honestly, I think the first thing that sparked my interest to get back into reading was The Host by Stephenie Meyer (which I read that summer when I got back into reading). I have my sister to thank because I believe she’s the one who started recommending other BookTubers and us bonding through books! A: Is this a trick question? ;) Honestly, read. Q: How would you describe your style with blogging? A: Oh gosh, this has changed sooo much over time! 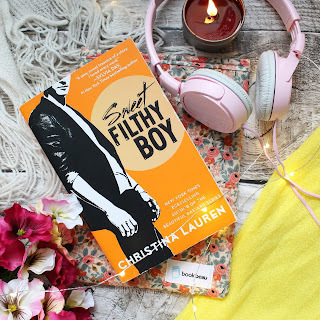 My theme on bookstagram is very crazy and filled with all sorts of props. I have several different back drops I use; I prefer my feed to look different, but also universal at the same time if that makes sense. A staple in my photos are a lit candle and fairy lights – you will always see those in pictures! I also have a “slight” obsession with Book Beau– so you will also see a lot of those in my pictures as well. As far as blogging, I typically only blog what I’m scheduled to review with a publisher or author… Me writing? HAHAHA! That would be a disaster! Trust me on that! I don’t have any intentions now or in the future to become a writer… It’s just for me – it’s definitely one of my weakest areas… But I LOVE reading them! Q: What is one thing you wish you knew starting out with blogging or something you could have told your past self? A: Honestly, nothing! It has been such a learning experience and such a fun ride the past almost 5 years! I wouldn’t change a thing! Without all the experience over the years, learning what looks good in a picture, how to take one, what to take pictures of… I wouldn’t be here without all that experience. I think that’s important. Be proud of your work! There will be times that I just don’t like my pictures or like how it turned out… But then I’ll see someone comment and say how much they love it! I think the biggest piece of advice to anyone looking to start a bookstagram account or just change theirs up, find what you like in your photos. Don’t try to make your feed look like someone else’s. Find your unique style! People will look for unique photos! I’m always finding so many awesome bookstagrammers taking such unique shots – ones I don’t think I could ever accomplish! Q: How do you motivate yourself to keep the blog going? A: Creativity! Checking bookstagram feed daily! Honestly, just having fun taking pictures! Q: What do you find the most frustrating and/or challenging aspect of blogging? A: The amount of prep time. LOL! That’s really the only thing when it comes to personal challenges! Q: Can you name some of your favourite bloggers and explain why they’re your favourite? A: Oh gosh, one of my favorite bloggers is Natasha is a Book Junkie – she is awesome! She has some of the best recommendations ever. Aesta’s Book Blog also has some great recommendations. Vilma Iris is another amazing blogger. Now bookstagrammers? There are sooo many! @lifeinlit, @everlasting.charm, @andieswanderings are some of my inspiration and accounts I look to. They are the best! Q: How much time do you spend blogging and is it a hobby or job? A: It’s hard to say an exact amount of time, but I can tell you I spend 1 ½-3 hours on the weekends just preparing pictures. That doesn’t include the 15+ minutes going through all the pictures and then another 15+ adding my watermark to the photos. A: Flashlight, knife, and hmm… The last thing is a lot trickier. Maybe a book so I don’t lose my mind?! HA! A: Oh gosh, don’t hurt me… I haven’t seen Gilmore Girls yet! So I will marry Jake Ryan, kiss Uncle Jesse and kill Jess Mariano… I’m sorry!!!!! A: DO IT! YOU GOT THIS! The book community is like one HUGE family; so incredibly supportive! We protect our families! WE GOT YOU! Here's Where You Can Find Brianna!